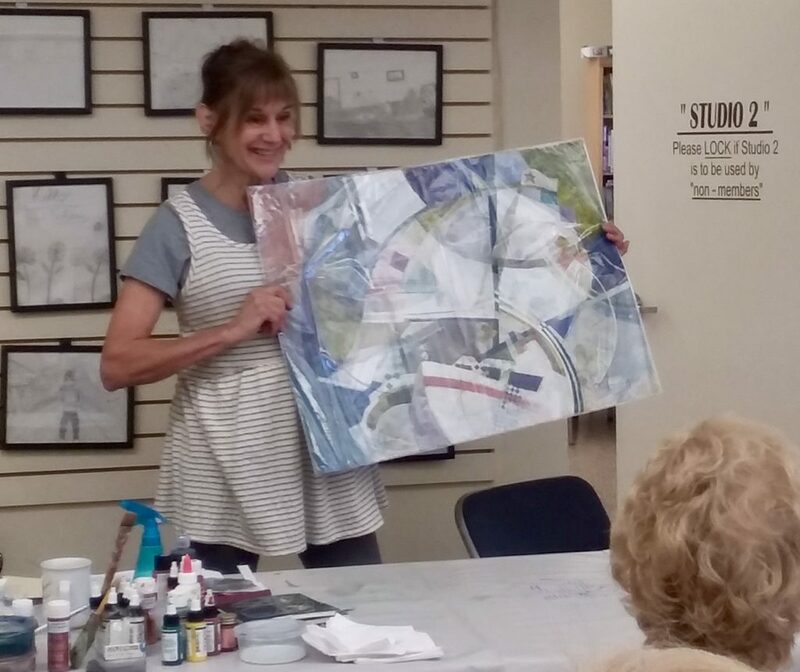 The San Diego Watercolor Society presents “Understated Surfaces,” an art exhibition juried by award-winning artist Nancy Oleska. 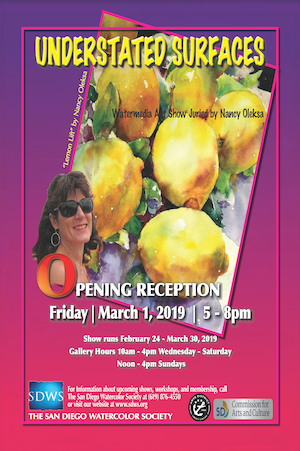 The exhibit runs 2/24/2019 through 3/30/2019 at our Art Gallery in The ARTS DISTRICT Liberty Station. The San Diego Watercolor Society features a new show or exhibition every month in their beautiful gallery in Liberty Station. The show for February 2019 (running from January 27, 2019 – February 23, 2019) was juried by artist, Stan Goudey. 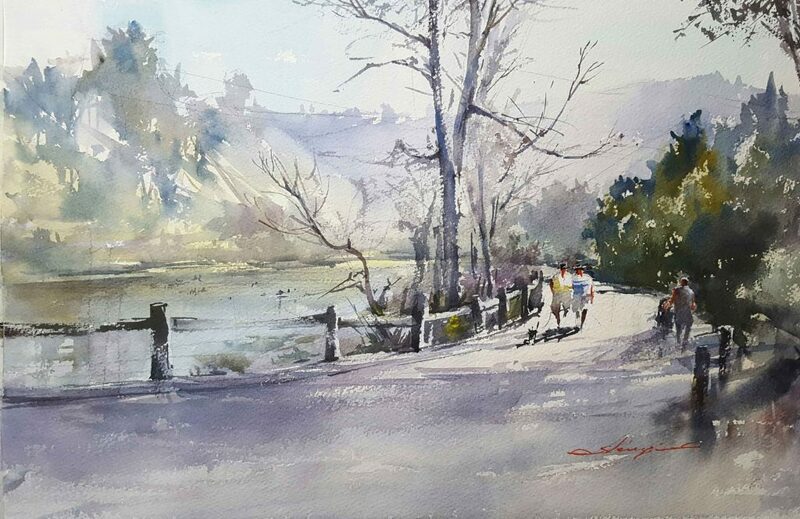 One of the San Diego Watercolor Society’s members, Shuang Li, had her painting “Stroll Along Discovery Lake” selected as Kelly Kane’s Pick of the Week! We are only a few weeks away from experimental, fun, skill-building work and personal mentoring, too, in Kathleen Conover’s highly acclaimed watermedia class, “Chaos to Order”. 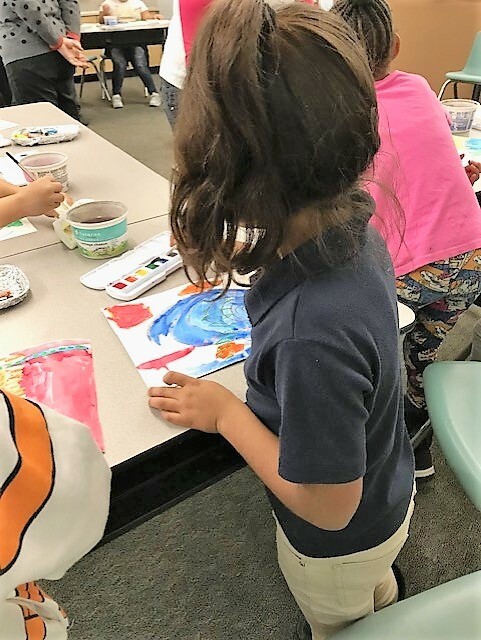 The San Diego Watercolor Society, in conjunction with NTC, has been teaching watercolor painting to 3rd graders from Dewey Elementary the last two months. The San Diego Watercolor Society’s 39th International Exhibition is open for entry from February 8 – May 6, 2019. 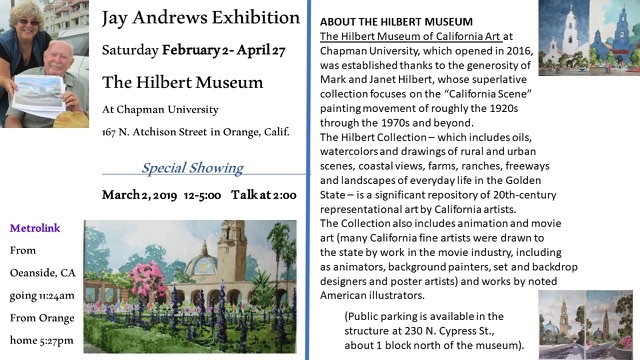 Long-time SDWS Member, Jay Andrews, has an exhibition at The Hilbert Museum at Chapman University on Saturday, February 2 – April 27 with a Special Showing on March 2, 2019 from 12-5pm. Please see details below.